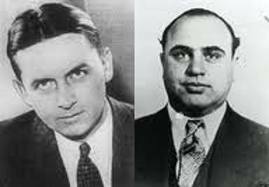 President Obama and David Axelrod accusing Mitt Romney of 'exploding the deficit' is like Chicago mobster Al Capone 'accusing' squeaky-clean G-man Eliot Ness of illegally running bootlegged liquor during Prohibition. It simply is not believable. Had President Obama shown just one time in the past 4 years that he was truly serious about deficit-reduction and done something, ANYTHING! such as introduce the Bowles-Simpson recommendations in his annual FY 2012 Budget in Congress, we would think differently. He didn't. End of story. But what about this '$5 trillion increase in debt' claim? Does it have legs or not? Politics is a funny animal. It is one of the only endeavors in life where 'gilding the lily' and skirting 'the whole truth and nothing but the truth' is sort of encouraged and celebrated. There is a little bit of truth and a whole lot of falsehood in this claim by President Obama that Mitt Romney's tax plan will 'increase the deficit by $5 trillion!' as we will soon see. Governor Romney has proposed to make the Bush tax cuts permanent for everyone: rich, middle-class, small businesses who sell and make a one-time large capital gain, people who inherit wealth from their parents, just about everyone who has paid any other tax other than payroll taxes in America for the past 10 years now. Just about the only tax cut no one seems to be talking about extending, including President Obama, is the 2% point payroll tax reduction that was passed a couple of years ago to help stimulate the economy under one of the Obama initiatives that just has not seemed to work yet. So the totality of that permanent extension for the next 10 years for deficit consideration purposes is about $4 trillion, give or take a few hundred billion either way. But upon closer examination, we will see something pretty profound which we think even supporters of President Obama will be amazed to find out. 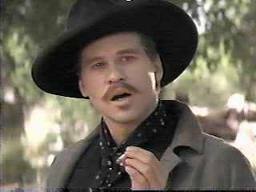 There is a thing in the US tax code called 'exemptions'. Or 'deductions'. You know what some of them are if you file a long form for your taxes and itemize the interest in the mortgage you pay monthly on your house. You don't pay taxes on the amount of interest you pay each year which saves you anywhere from 15-30% in taxes you would have otherwise paid on that amount exempted. These are also collectively known as 'tax expenditures' in budget and tax parlance. We have written about them before many times. They are confusing but so is the rest of the federal budget process, yes? The total amount of tax expenditures as calculated by the Joint Committee on Taxation is about $1 trillion per year. Take a look at these which are just the top ten in terms of size of exemptions. Here is the rest of them on page 239 in the White House Analytical part of the US Budget. Over a 10-year period, lo and behold! That adds up to over $10 trillion in tax expenditures in the federal budget! This is what Mitt Romney is referring to when he says he would support the curtailing of some of these tax expenditures to pay for his incremental tax cut of 20% more! Don't you think that out of $10 trillion in tax expenditures we can collectively find perhaps $1 trillion in reductions to pay for his additional 20% cut? But here is the real zinger in all of this: President Obama has made it crystal clear that he too will extend all of the Bush tax cuts....except for the people who report over $250,000 in any one year! The amount of those extensions, (which he has already signed one time in 2010), is about $3.5 trillion! And he has not said one thing about how he would pay for those extensions either! This is just another concocted twisting of the facts, this time by our sitting President and his chief political advisors. It is a political tactic as old as dirt itself. So be careful when you hear any more debate on this complicated subject. You just might get sucked into the vortex of hypocrisy yourself.